The next chapter in the Heretic Kingdoms saga continues on in Shadows: Heretic Kingdoms. Set a few years after Kult: Heretic Kingdoms, players of the game will take control of the Devourer, a dark demon “that swallows the souls of the dead and brings them back into the mortal realm as puppets”. 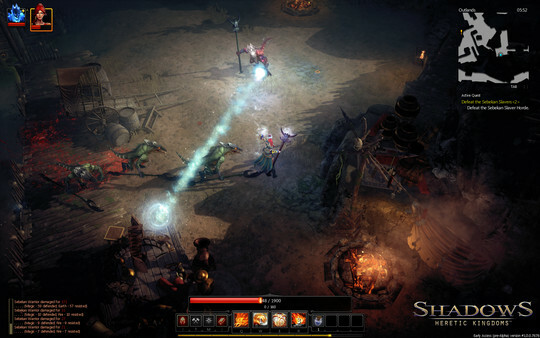 The game’s key features include two game worlds, as well as 15 different characters. Just like some of the new games recently released, Shadows: heretic Kingdoms will have a choice and consequence type of story, where each decision results in a different consequence. Struggle with yourself: Learn from the devoured souls, let them advise you and develop your character. Destroy nightmarish creatures: Face the most terrifying creatures that you could ever imagine. Take charge of your fate: A lot of your decisions affect the game – and thus the way the story develops. 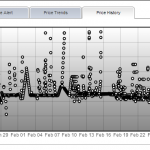 Innovative story telling and unique party system: With this combination, Shadows stands out of the crowd, and has already been awarded “most promising product” at the Role Play Convention 2014 in Cologne. 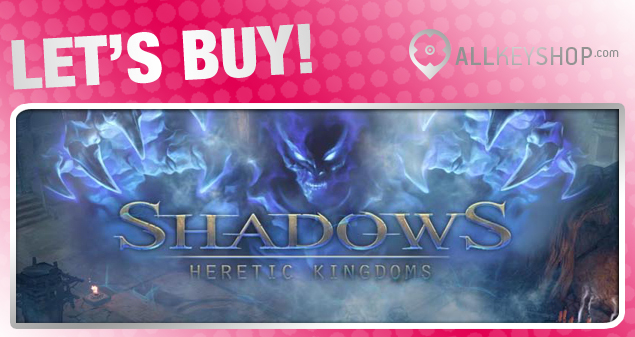 Get Shadows: Heretic Kingdoms CD key at the best price with the digital download edition. We list our most trusted stores where you can buy the activation key of the game from, and download the game and play it on Steam. 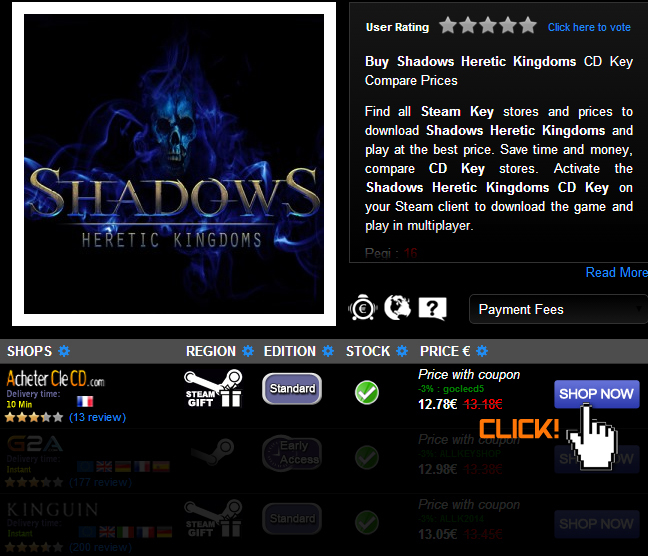 To start buying your CD key, visit our Shadows: Heretic Kingdoms price comparison page, select a store, or the price that’s most convenient for you, and click SHOP NOW. 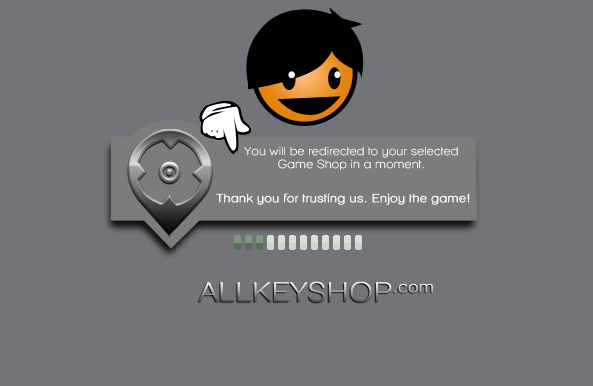 You will then be redirected to your selected store’s website, and you can continue your purchase from there. Once you’re redirected to the store’s website, you can now add the game to your Shopping Cart and proceed with your payment. 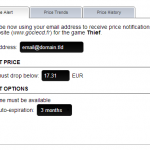 Depending on the store you selected, you will receive your CD key either through your email, or your online account in the store’s website (see NOTES below). 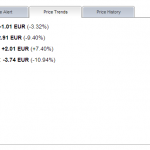 *Price Alert – If you wish to receive alerts when prices change on SHADOWS: HERETIC KINGDOMS and purchase the game at the best price, all you need to do is enter your email address, choose the price you are expecting, and the period you want to receive the notifications. 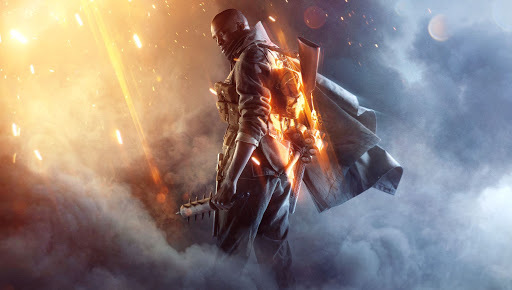 Two game world, great!! And thank you for the guide! !